Exterior entry doors can not only add an attractive face to your home, but they can also provide a comforting level of security. 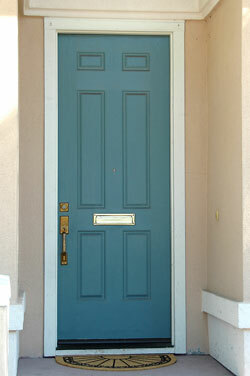 However, finding a durable entry door that is also beautiful can be difficult. Fortunately, homeowners in Indianapolis, Muncie, Kokomo, and other nearby communities can turn to L.J. 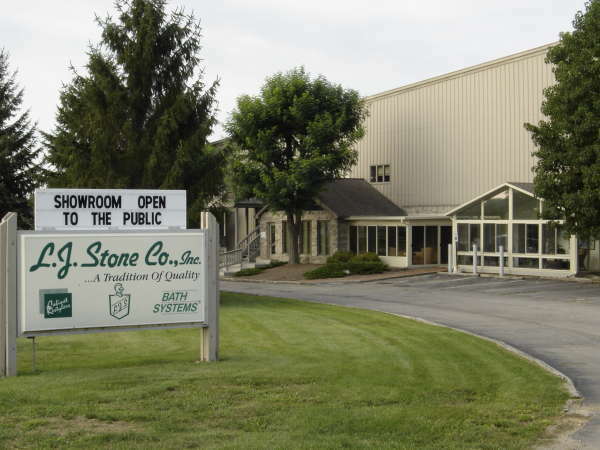 Stone Company, Inc. for help. In addition to choosing from these durable exterior entry doors, you’ll have the option of adding heavy-duty locks and security hinges to keep your home safer from break-ins. Once you’ve chosen your specific security features, you can focus on the beautifying aspect of your new front entry door by selecting from a wide variety of colors and a smooth or wood grain surface. Residents of Noblesville, Anderson, Marion, and other communities throughout central Indiana have depended on L.J. Stone for the highest quality exterior entry doors and other home improvement products. In addition to the expert installation of attractive, secure front doors, we install insulated vinyl siding, replacement windows, radiant barrier insulation, and sunrooms. L.J. Stone can even offers a variety of walk in tub, tub liner, and tub-to-shower conversion products. Contact L.J. Stone today to learn more about our exterior entry doors and schedule a free in-home consultation. We proudly serve homeowners in Richmond, Greenfield, Greenwood, New Castle, and surrounding communities.